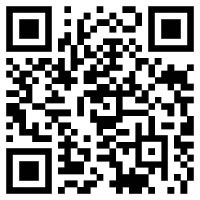 Scan it! You know you want to! What are QR codes? Let me clarify before we begin: Take a look at the image to the left. That’s what a QR codes looks like. There are other types of similar codes in use today that look similar, but QR codes are the most used. A user with a smart phone (iPhone, Android, Blackberry and others) and a code scanning application, will scan the code with their phone’s camera. A quick search for QR code Android or iPhone will reveal a good number of popular scanning apps. The application will then reveal the information in the code scanned and will trigger an action. These actions might be to take the user to a website or a YouTube video among many other available functions. QR codes can be used in advertising to help the advertiser communicate information to consumers. Musicians can also connect with their fans sending them to YouTube videos or a website were they host their music. Artists can hand out business cards with QR codes that can direct readers to their online portfolios. People who distribute media with QR codes on it can track how many people are actually scanning the codes. Think about it for a second… The possibilities are endless! Lately I’ve been experimenting using QR codes on various advertising design projects. Needless to say, I’m very excited about the technology. While paging through magazines at Borders and Barnes & Noble (my 2 favorite places in the world) I’m coming across QR codes in advertising more and more. At the beginning of every month, when my batch of magazine from different industries start trickling in, I continue to see that more companies are jumping into the QR code bandwagon. I’m not sure how long this is going to last, but for the looks of it, quite a while! Looks like this technology is only just starting to take off. The future looks bright. I recently designed 2 different ads in 2 major cycling publications, VeloNews and Mountain Bike Action Magazine. Both include a QR code that takes you to the product’s web page. Additionally, I just submitted another ad, this time for a book. The book has only a 5% ad percentage vs informational content and is published by an Australian company. The nice thing about the book over the usual magazine advertising is that the longevity of the book will be quite much longer. While a magazine is usually scrapped or put away after a month or two, many books are kept for much longer. All the QR codes I’ve placed in ads so far are tracked, both by Google Analytics and Bit.ly. Another cool feature is that I created custom short URLs for the QR codes that also include the name of the product. That way, when the user scans the code they can see right away the name of the product in the URL generated and feel more comfortable continuing. The VeloNews issue that has one of the ads is only starting to arrive to subscribers now and the QR code in the ad shows 77 scans already. Not bad. The insight one can get from using these trackable codes in advertising and marketing is just awesome. I’m totally in. It’s a perfect feature than can easily been incorporated into full marketing campaigns where feedback is key. Next up, QR codes are going on my own business cards as well as customer’s cards. I can see usefulness for them in shop window stickers and POP stands. Since QR codes can be set to do various things, the usefulness of them is amazing. Since people are starting to get used to them, they are now fashionable and cool. There are plenty of artist using them for the sake of art alone. QR codes can actually do a lot more than what is listed above, but those are some of the most common usage trends. If you have a project where you think using QR codes would be ideal, or if you are considering organizing an QR code marketing campaign, feel free to contact me here. I can help you get on your way to using this great new technology for your company or product’s benefit. You can start tracking scans today! Previous post: WordPress Customization – Secret to Pro Blog Website Design! Next post: A Post About Whatever the Heck I Want!